Coffee - We take fresh, locally-roasted coffee grounds and steep them overnight in our cultured cream before churning. The result is a deep, earthy, butter that has subtle notes of cocoa and pepper. Pair with your next steak or use to top a baked sweet potato or fresh biscuit (an additional drizzle of raw honey on the latter certainly wouldn't be a bad thing either). 2016 ACS Winner! Cultured Ghee - Made from our signature cultured butter, this ghee is gently cooked and clarified down to its purist form - resulting in a milky, nutty, luscious fat source that has an impressive nutritional profile, is free of milk solids, and has a high smoke point. Fresh Milk - Sweet, refreshing whole pasteurized milk for our Jersey Cow herd, that lean toward A2 genetics. Gently pasteurized but non-homogenized to maintain a rich and naturally delicious creamy mouthfeel. Absolutely delicious. Fresh Cream - Luscious, rich, and delicious. Jersey cow cream at it's best. Cultured Buttermilk - Freshly captured off of the butter churn, bottled, and chilled. Add to your favorite recipes for a nutritious and refreshing tang. 2014 ACS Winner! Wigwam Reserve - This little semi-hard unpasteurized cheese weighs in three pounds and has notes of quince, toffee, and grass. Aged only 5 months Wigwam has a few small crystals and a rich gold color reflecting our fatty Jersey milk. Coho- This lightly washed natural rind cheese is brothy, with notes of sweet cream, toffee, dried apricots, finishing with hints of the sea. 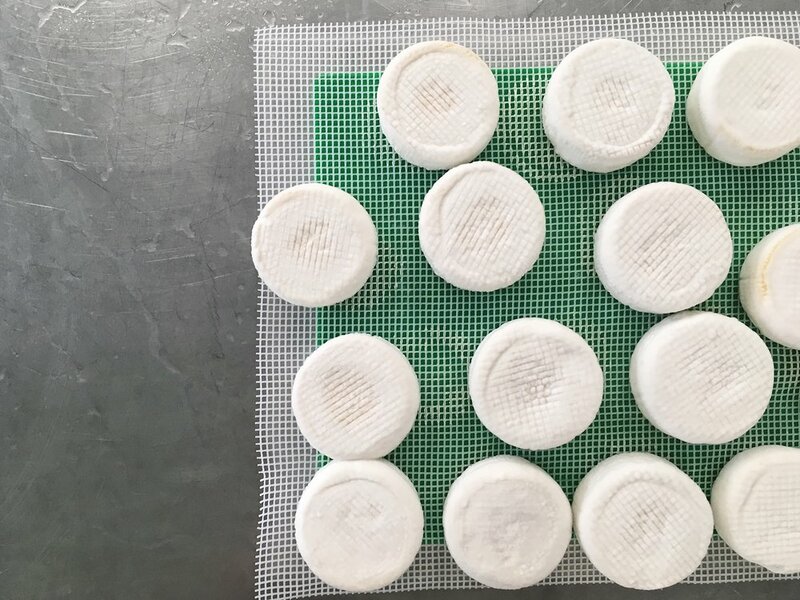 Aged for 4 months this unpasteurized tomme is lightly washed with a salt brine for the first few weeks of its life, thus it is creamy, melts like a dream, and is a good addition to almost any meal. We were inspired by our salmon safe creek and the Coho, Sockeye, and Chinook that have returned there. 1913 - With deep toffee, roasted nuts, and cave-y notes this unpasteurized cheese is our largest format cheese weighing in at around 20 pounds. Made with leftover curds from our Coho this slightly washed cheese is a larger format and has a longer age, which makes it truly is a game changer. Fromage Blanc - A fresh bright and tangy soft cheese made from skim milk and fresh Jersey cream. This Traditional French cheese has notes of fresh cream, citrus, pear, with shifts in flavour following the change of season. Drizzle honey atop on a cracker, layer in your lasagna, mix into a pounds cake, or pile high on toast topped with roasted veggies. Ferne's Feta - Tart, tangy, piccante, everything a feta should be any more. Made with pasteurized skim milk this firm brined cheese is incredibly versatile as it can be diced atop any salad, pizza, pasta, or pairs smashing with a wheat beer.